Bulletin boards are incredibly functional, but generally not very pretty to look at. Luckily, it doesn't have to be that way! Prove that something can be both attractive and useful by making your own pretty bulletin board with some burlap and cork board. It's easy for important papers and bills to get lost in the day-to-day shuffle. Bulletin boards are a great way to keep your family's important documents organized, unfortunately, they usually look more like an office supply than home decor. 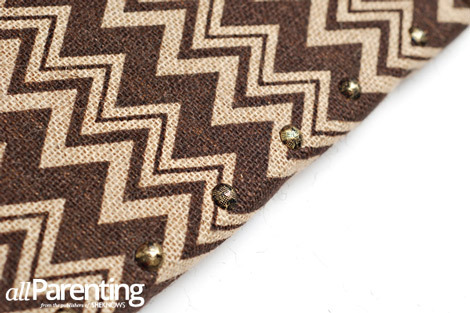 Now you can turn some pretty patterned burlap into a stylish bulletin board that you'll be proud to hang on the wall. 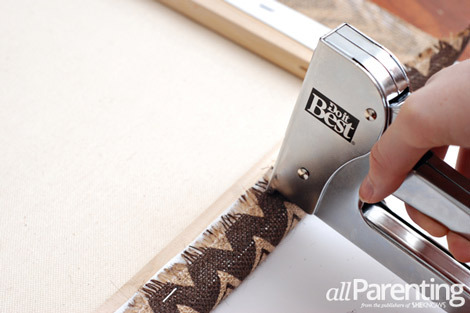 Start by cutting the burlap so that it is 2-inches larger than the canvas on all sides. 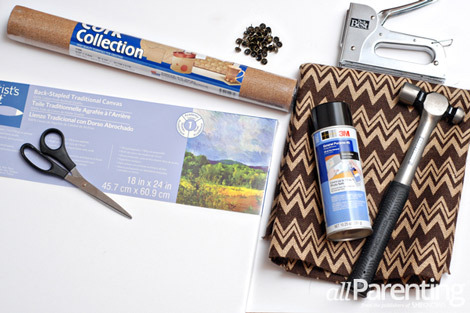 Take the canvas outside and spray a generous layer of spray adhesive onto the front the canvas. 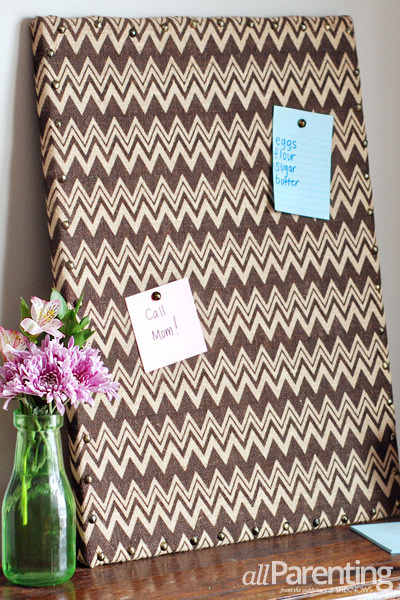 Unroll the cork board and lay it on top of the canvas. 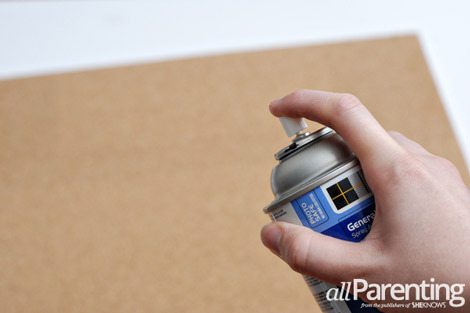 Gently press the cork board into the canvas to help it adhere. 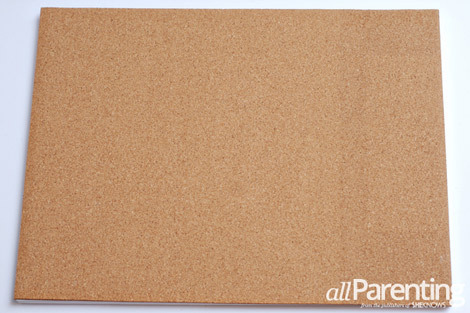 Head back outside and apply another generous coat of spray adhesive over the top of the cork board and along the sides of the canvas. 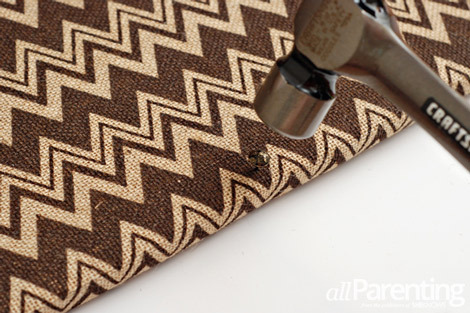 Lay the burlap over the top of the cork board and smooth out any wrinkles. Be sure that your pattern is level when you do this. 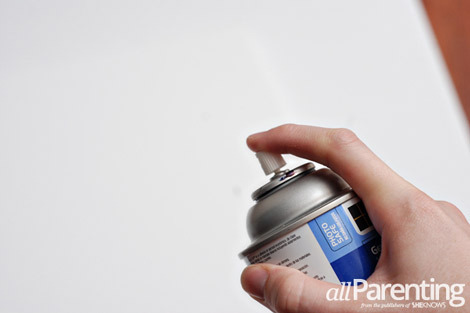 The spray adhesive will let you reposition a few times if you don't get it quite right on the first attempt. 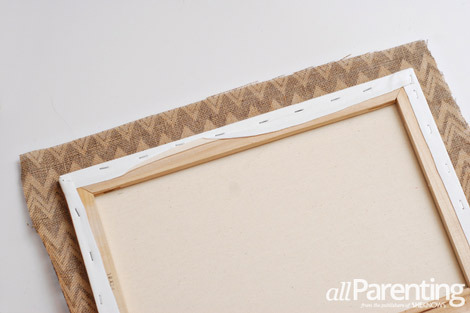 Flip the canvas over, stretch the burlap tight and staple it to the back of the canvas on all sides. Turn the canvas over again and start hammering decorative upholstery nails around the front edge of the canvas. Hammer in an upholstery nail approximately every 2-inches around the perimeter of the canvas. Give the spray adhesive two hours to dry completely, then use thumb tacks or extra upholstery nails to pin messages to the bulletin board.